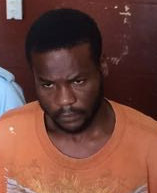 Eustace Griffith, who turned himself over to police after fatally stabbing Stabroek Market handyman Steven Arthur on Monday, was yesterday charged and remanded to prison. It is alleged that on July 4, at Hadfield Street, Georgetown, Griffith murdered Arthur. He was not required to plead to the charge when it was read to him by city magistrate Judy Latchman. 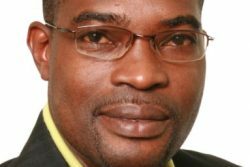 The magistrate subsequently remanded Griffith to prison and adjourned the matter until July 15, when it will be heard in Georgetown Magistrate’s Court One. Arthur, 45, whose last known address was Pouderoyen, West Bank Demerara, was said to be a drug abuser who did odd jobs around the Stabroek Market area. He was stabbed once to his chest and died on spot. After the fatal altercation, the suspect ran to the Brickdam Police Station and related what occurred. He was taken into custody. According to reports reaching Stabroek News, Arthur and his attacker were involved in an argument when the suspect whipped out a knife and stabbed him.